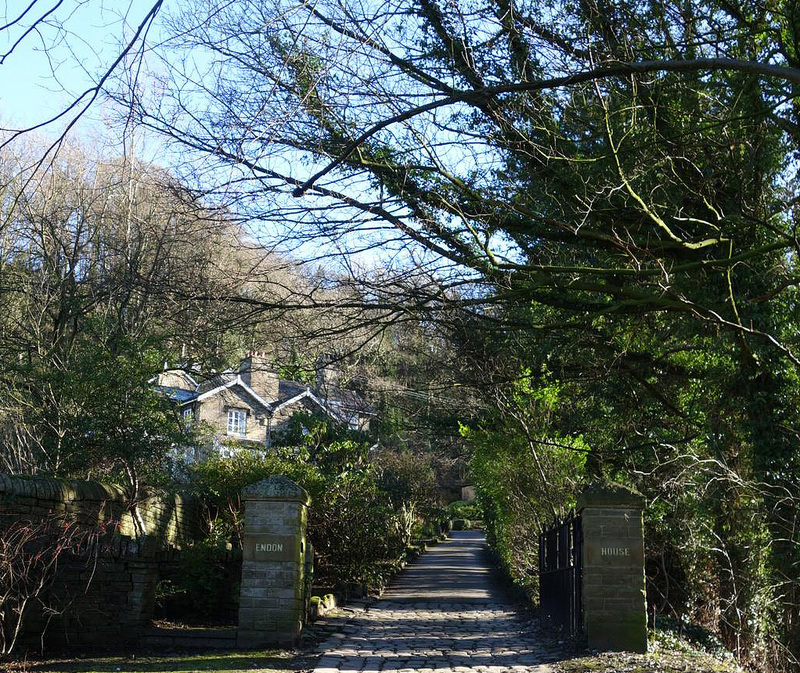 Endon House above (Photo`s taken 2018) has the distinction of having it`s own private road and this road is used regularly by the public. 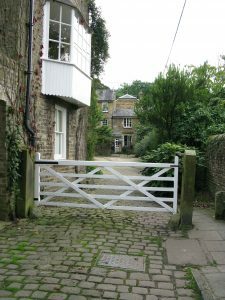 It`s gate was closed one day a year on New Years day thus demonstrating to the ordinary villagers that it was not public right of way. But that does not happen nowadays. 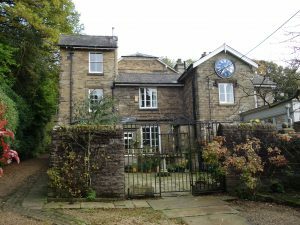 Endon House was built in 1827 by William Clayton. However, it appears to have no name on a 1875 map whereas Endon Hall was actually called Endon House at this time. 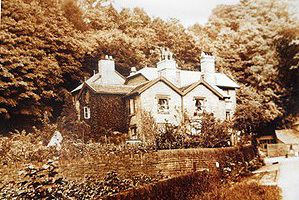 It has been said that the family came from Endon in Staffordshire hence the name given to the estate but the following is more likely …..
William Clayton a member of an old Macclesfield family from `Titherington` was a cotton manufacturer however in 1791 he leased a colliery from Thomas Ward and Thomas Wardle of Upper and Lower Swanscoe . 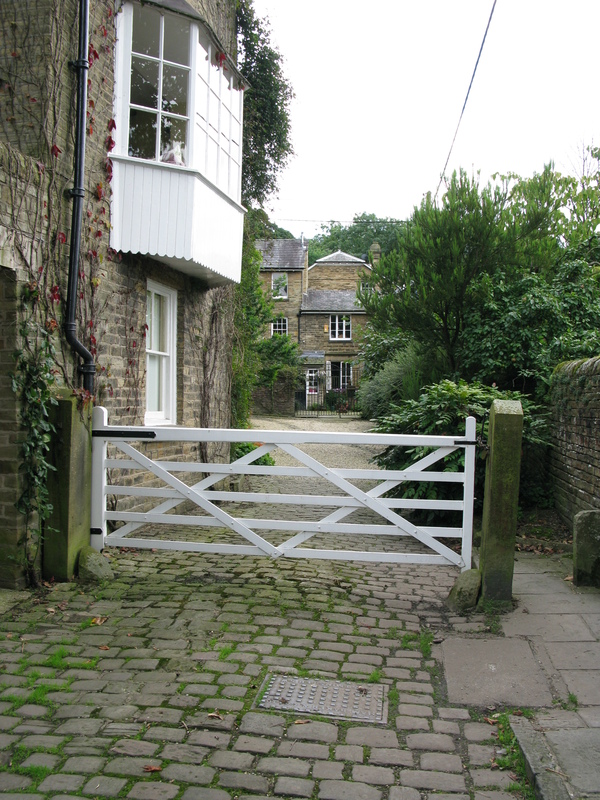 Clayton then bought the Endon estate in 1833 and began to develop the lands and properties. 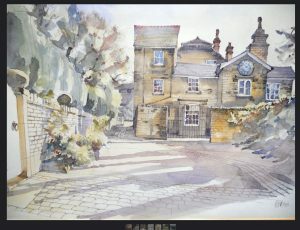 Claytons success at the colliery saw him converted from from a cotton manufacturer of `Titherington` on his lease of 1791 to a coal proprietor of Adlington when he signed the Endon deeds on 4 march 1833. 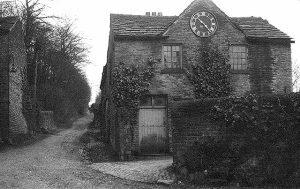 He built cottages such as Endon Cottage ( Ivy Cottage) as well as Endon Hall ,Endon House and Endon Lodge and also bought Charles Roe`s Windmill on Macclesfield common used for grinding Calamine ore for the companies brassworks. This was re-erected close to the quarries – Kerridge Windmill. Nobody really quite knew why he bought the windmill. 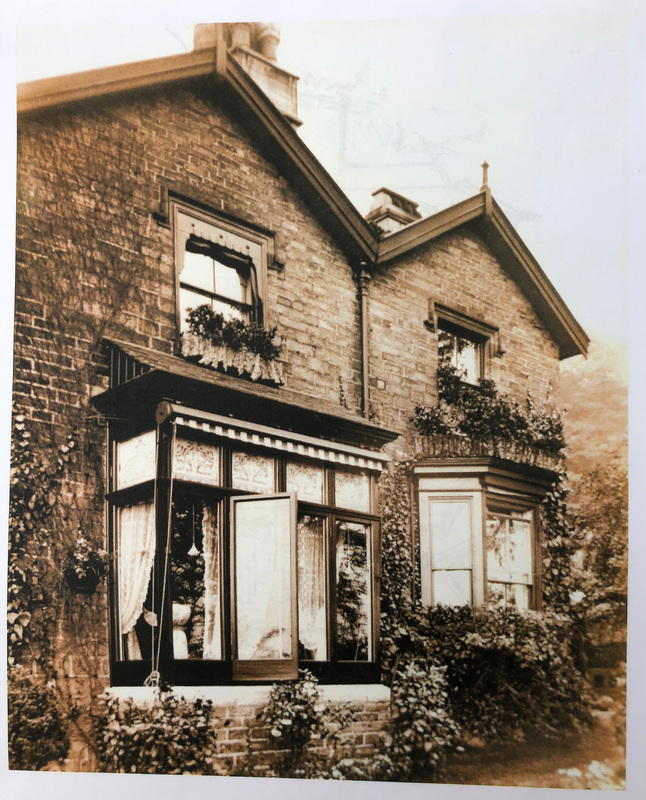 By 1841 William was forced to take out a loan and this made him realise he was getting on in years and decided to make financial arrangements in case of his death. He died on 23 july 1850 followed by his wife and then his only male heir by 1873. The estate passed to his great nephew Thomas Rylance Gibson a barrister of London. Gibson amounted debts and by 1875 the estate was sold to Peter Pownall Brocklehurst of Hurdsfield. Later sold to Livesay and Sheldon from Kent. and then Whettons the quarry owners. The stables at Endon House in the early 1900`s. The building was altered by taking away the upper floor, and the clock was moved to the house after the second world war. The upper floor was believed to have been a workshop and it is thought coffins were made here. during its heyday); they had to pass the clocks in order to get to the quarry. Higher Lane – via the long staircase up through Victoria Bridge. 1953 The Buntings bought the house after Sir Henry and his wife died. 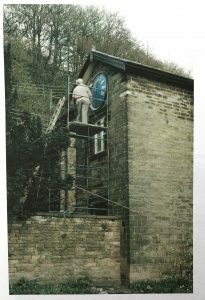 Installing the present electric clock. 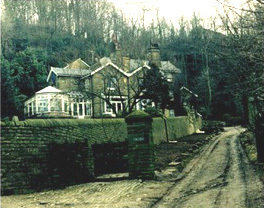 1968 Robertsons owned Endon House. 1979 Les Wilcox owned Endon House, he was a local man and had three generations living with him hence an extension or two. 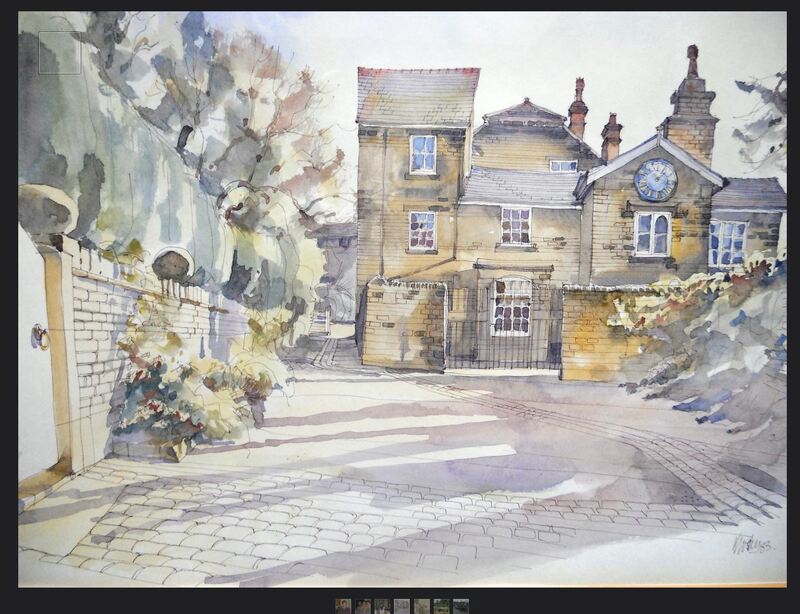 Painting of Endon House done in 1983 by William Geldart of Henbury. 1881 Sarah Millward aged fifty five is a servant cook and was living here with Elizabeth presumably her daughter aged twenty five. Sarah is listed as married but no husband mentioned. We can only presume that the head of the house was away on business at the time of the census. 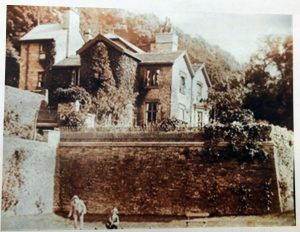 1896 Thomas Arthur Collier was living at Endon House according to Kelly`s Directory. 1914 and 1923 William Charles Jones was living in Endon House. In 1939 Vincent Keeney lived at the lodge, he was a butler valet thirty five years. He lived with his wife May aged thirty six years and their son Robert 9 years. Thank you to Geoff Wood for some of the information and photos above. 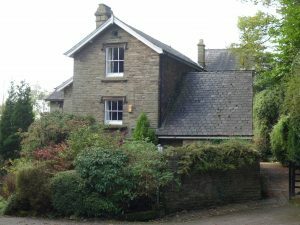 And thank you to the current owners of Endon House for welcoming me to their house and sharing so much information which made a lot of this possible.